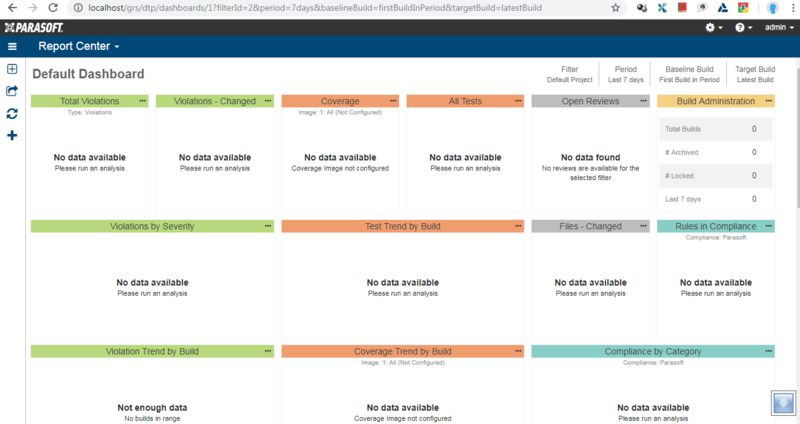 I cannot see static analysis report in DTP, please check following images. I run jtest and it publish report on DTP, but I can not see. 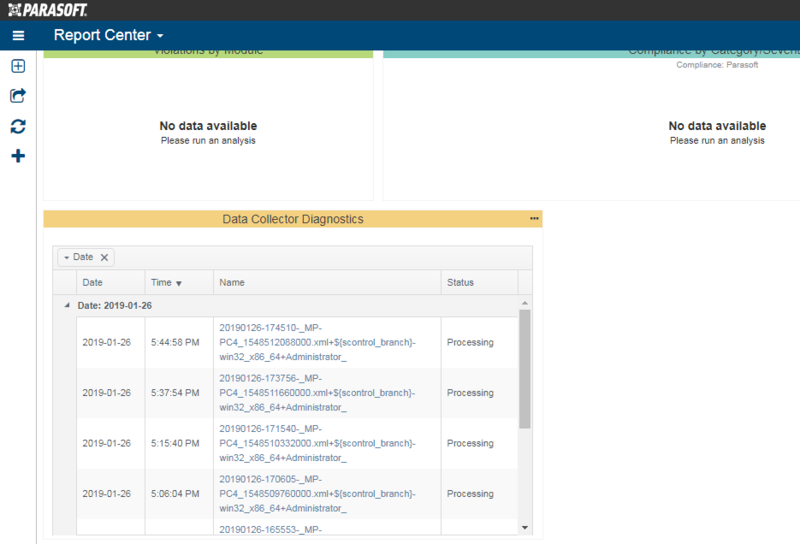 Can you add Diagnostics -> Data Collector Diagnostics widget to the dashboard? Can you attach the screenshot of the widget? Let's see if we can debug this quickly. If we cannot, I would suggest contacting support. And you can find a sample file in attachment. Why are all rows in processing status? who is responsible for processing? Data Collector or DTP? Data Collector is responsible for processing the received report files. The files are in processing state - i.e. there have not been inserted into DB yet. Please see the following log file to see possible reason of this state: logs/dc_dtp.log - this is Data Collector log file. In case you need more detailed log file analysis, please contact Parasoft Support. Please contact Parasoft Support. It does not look like Data Collector is processing the reports.